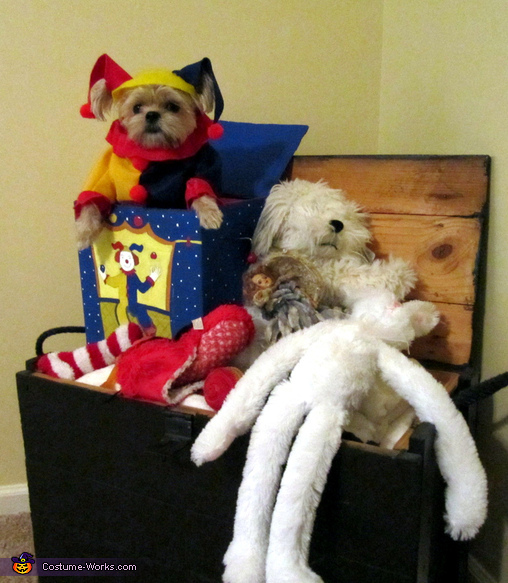 My dog, Twiggy dressed as the jack in the Box and placed in toy chest among other toys. Painted a cardboard box and cut hole in center leaving the back open. The costume is made out of felt with large pom poms glued to the front.